I've lived here in Brisbane for more than 7 years now, but May still feels like spring. The days are shortening, the nights are cooling, and we snuggle up in our un-insulated living room to watch the latest Masterchef series. We've had the barbeque out for nearly half our dinners lately, and we sit around the glowing embers wondering why we haven't done this more. The garden is full of new things, sprouting things, ripening things. Greenness everywhere. The sun is warm but somehow less threatening. Watermelon drips down our faces. And all this fresh green begs to be made into salads and tossed onto pizzas fresh out of the oven and tucked up in rice paper rolls. So, who am I to argue? 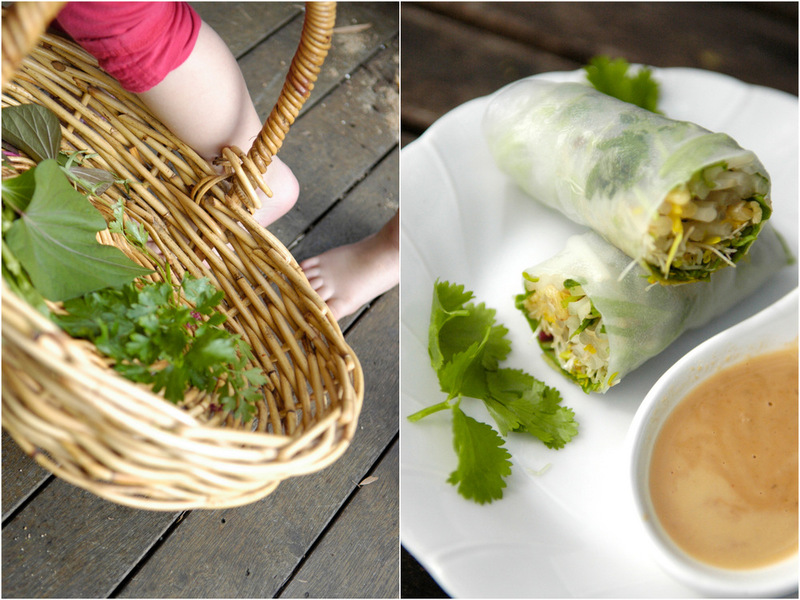 Nelle and I sat at the table one lunchtime last week and made these spring rolls out of our garden bounty, plus the 3 types of sprouts we bought at the market - pea shoots, mung bean sprouts, and alfalfa sprouts. She dipped hers in German-style mayonnaise; I dipped mine in peanut sauce. We made extra, for our lunches at work and kindy. We even saved a couple for Daddy. 'Cause we're nice like that. It was a challenge, though, to share the peanut sauce. It's growl-worthy. So enjoy your spring, or your spring-y autumn, or whatever season it is wherever you are ... and have a look at what's fresh and new around you. 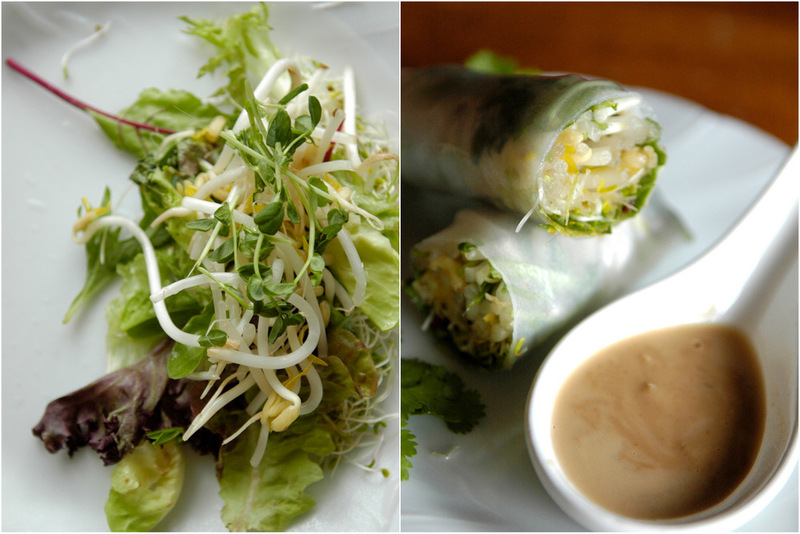 Really you just need good-quality rice paper + fresh herbs and veggies. 1. Organise all your salad ingredients on a big plate or benchtop. Put all the sauce ingredients into a heavy glass jar and shake till combined. The hot water should help penetrate the stickiness of the peanut butter, but if it doesn't just use a spoon to mix everything. Add water if you need to - it should be mayonnaise-thick, not toothpaste-thick. Adjust the sauce to how you like it - more or less chili, thinner or thicker, and so on. 2. You can either let your guests roll themselves, or do it ahead of time - Basically you dip a dried rice paper roll in warm water to soften it, then roll it up around your fillings like a burrito. 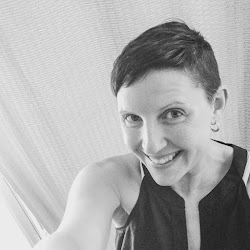 Don't worry about prettiness - you'll get better after a few! Cut in half, or don't. Dip away. I've found that rice paper does vary in quality - so you might want to splurge out a little and that will help keep your rolls from tearing as you make them. Saying that - it's not expensive stuff. I spent $8.99 for a packet of 20 or so non-organic papers, and the salad within is pretty inexpensive - especially if you take what you can from the garden. My rolls - mostly organic - probably cost me less than $1 each, including sauce. Your spring rolls look wonderful! My sister can't get enough of spring rolls. I had chicken served on little skewers with peanut dipping sauce served to me one Christmas a few years ago. I absolutely loved the sauce so I'm very excited that you posted this recipe and I'm anxious to try it. Growing up in an Asian household, I have had plenty of spring rolls and these look like a great, fresh twist to them.